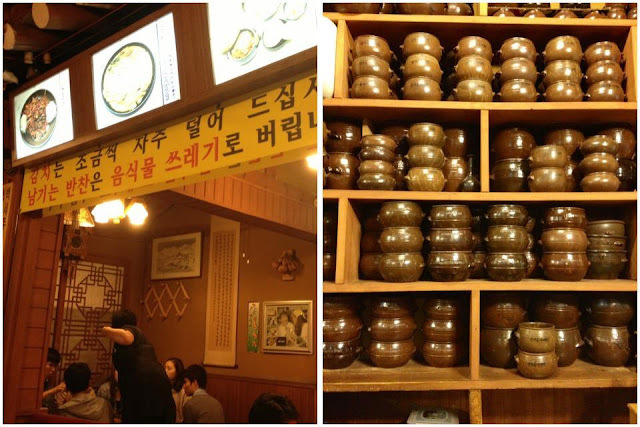 The Mistress of Spices: Scrumptious Seoul! 안녕하세요! 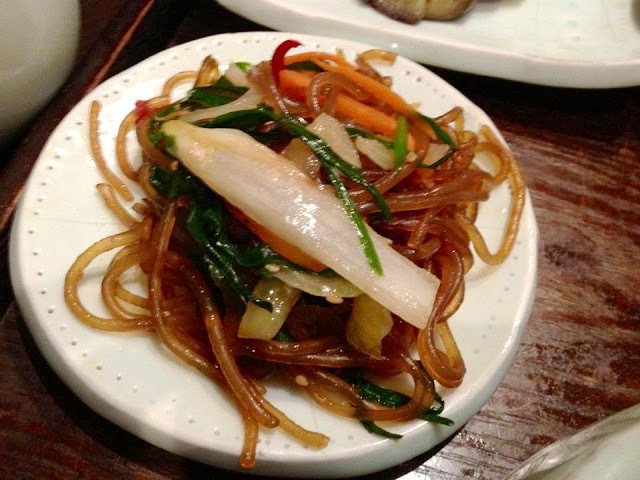 It was only a few years ago that I had my first taste of Korean cuisine and discovered, much to my surprise, that it's quite vegetarian friendly. Since moving to Bangkok where I have many Korean colleagues and there are lots of Korean restaurants, I've enjoyed getting to know the cuisine better. This past week, I made my first work trip there...to the buzzing capital of Seoul. Here's a quick look at some of the scrumptious food that I ate while there...Korean or English names given based on what I was told by my dining companions! Though vegetarianism is still uncommon and little understood in Korea, this is slowly changing thanks to the growing popularity of "temple cuisine" (사찰 요리), which is based on Buddhist medicinal foods which are meant to deliver "only good energy". 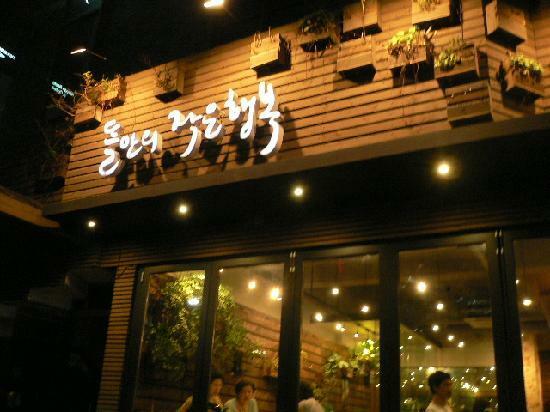 Like most temple food restaurants, Gosang eschews the use of stimulating vegetables such as green onion, garlic, leeks and wild chives as well as meat of course. 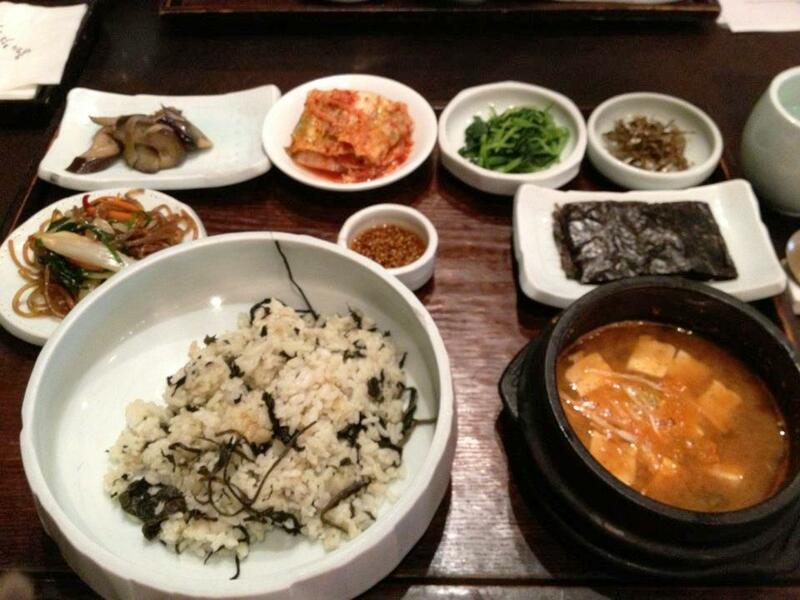 For an interesting article on Korean temple cuisine, check out this article from Food and Wine! Unlike some temple cuisine places, Gosang serves alcohol...so my colleague and I were able to wash our multi-course meal down with some delicious Korean blackberry fruit wine known as bokbunja. Japchae (sweet potato noodles with vegetables)...one of my favorite Korean dishes! In the neighborhood of Insadong, amidst the art galleries and antique shops is a great hole-in-the-wall place for sujebi, which is considered a Korean comfort food for cold days (and indeed it was pretty chilly at night during my time in Seoul!). It's basically hand-torn pasta cooked in a broth of potatoes, vegetables and seaweed. We enjoyed both traditional sujebi (top left photo) and as well as a sesame-based sujebi (bottom left). Both were tasty but pretty bland, so I couldn't help but to buck convention and spice things up with what I've decided is my favorite Korean condiment, jalapenos and garlic pickled in soy sauce (called something that sounds like gochoo-jangajii in Korean). 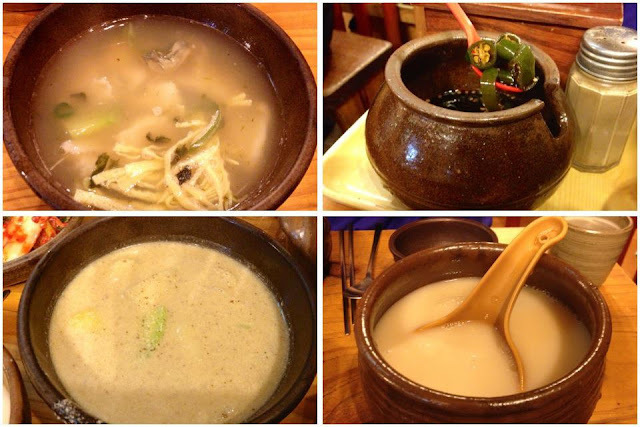 With this meal, the drink of choice was makgeolli, a milky rice wine (bottom right). Everything at this place was served in beautiful clay pots and a warm, casual atmosphere. Perhaps the most iconic and well-known Korean dish outside of the peninsula is bibimbap, which translates simply as "mixed rice". Basically a bowl of rice, sauteed and seasoned vegetables (namul), grilled meat or sometimes tofu, kimchi (on occasion), egg and the delicious Korean chili paste known as gochujang, bibimbap can easily be made vegetarian by requesting a meat-free version (tourist-friendly places usually have a vegetarian version on the menu). 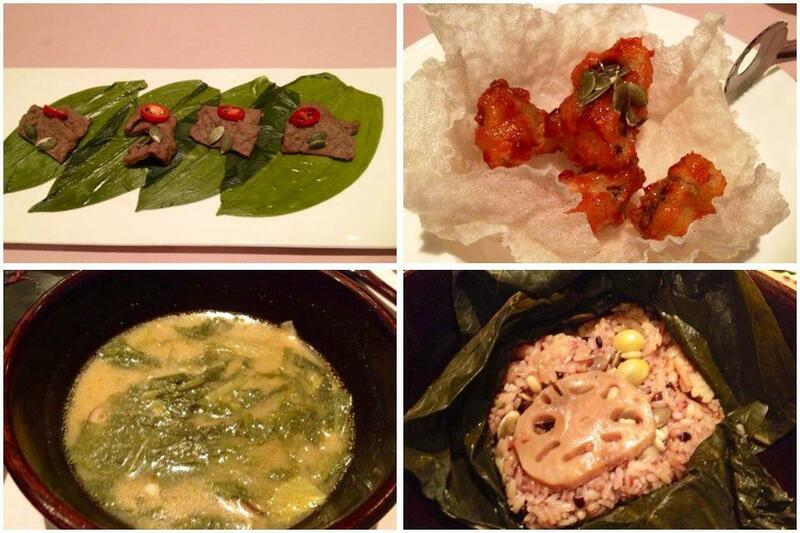 No wonder it made CNN's list of the world's 50 most delicious foods! 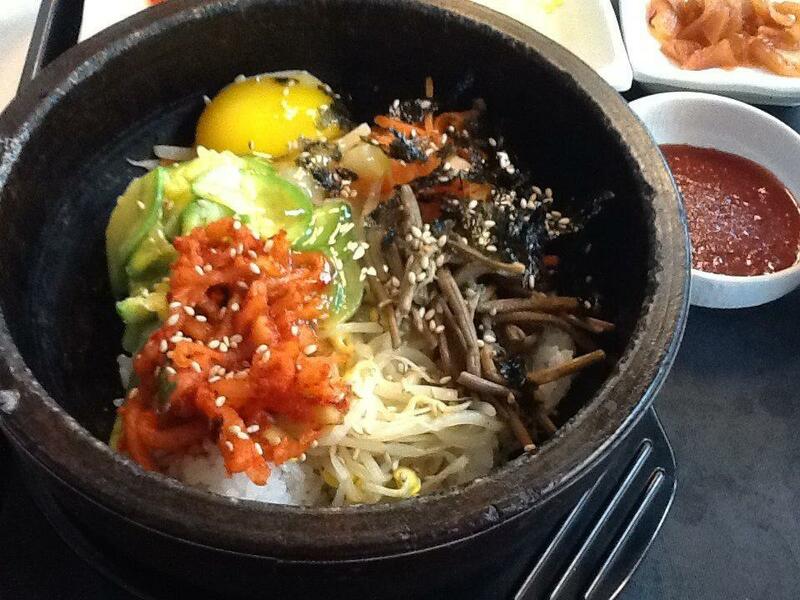 You as the diner mix together your bibimbap, which makes it the ultimate DIY dish. I was particularly keen on finding a good dolsot bibimbap (bibimbap served in a sizzling stone bowl known as a dolsot) for lunch one day. When I couldn't find the place that my hotel recommended, I wandered around the Myeongdong area where I was staying and asked a young guy handing out free samples at one of the area's many cosmetics shops who happened to speak good English. He pointed me to this place and boy was I glad he did... despite its unassuming entrance in a dark alley, apparently it's one of the best in town with a very old history! As soon as I sat down, an array of banchan (side dishes) were brought to me including kimchi (which is technically not vegetarian since fish sauce or shrimp paste is sometimes used), some steamed spinach-like greens, pickled daikon and something else. I love banchan...maybe because it reminds me of an Indian thali with lots of little dishes! A steaming bowl of soup with bean sprouts and scallions was also served, as per the norm. Then came out my beautiful dolsot bibimbap. Look how pretty it was! This one had purple cabbage, zucchini, shitake mushrooms, daikon, some type of spinach, pickled cabbage, lettuce, soybeans and the requisite runny egg...all served in a sizzling hot dolsot. Then comes the best part...you ladle as much gochujang as you want into your bowl and mix it all up with metal chopsticks and a spoon. Don't crack into the bottom layer of the rice as you want to let it get nice and caramelized. Gochujang, by the way, is one of the world's best condiments! It's a fermented paste of red chili, glutinous rice, fermented soybeans and salt. Are you surprised that I bought a big tub of it at the supermarket to take home? I can imagine using it in just about everything...so tasty it is! Before putting any of the ingredients into the dolsot, it is coated with a layer of sesame oil. This is what allows the rice at the bottom of the dolsot to caramelize as the hot clay pot sizzles. This caramelized layer of crunchy, crispy, browned rice is absolutely delicious! Seoul and Korea in general are also excellent places to drink. More than one person has termed this country as "a nation of lushes", and with the infinite varieties of local wine, beer and liquor available (makgeolli and bokbunja are but two) it's easy to see why! Drinking is a big part of the culture, including the work culture, and it's not unusual to go for drinks with your colleagues after work most days and end the night with soju bomb after soju bomb at a karaoke joint! Soju (right side of the picture) is a vodka-like distilled beverage which is traditionally made with rice. You can buy it for next to nothing at groceries and convenience stores throughout the country. If you prefer your beverages of the non-alcoholic variety, you're also well catered for. 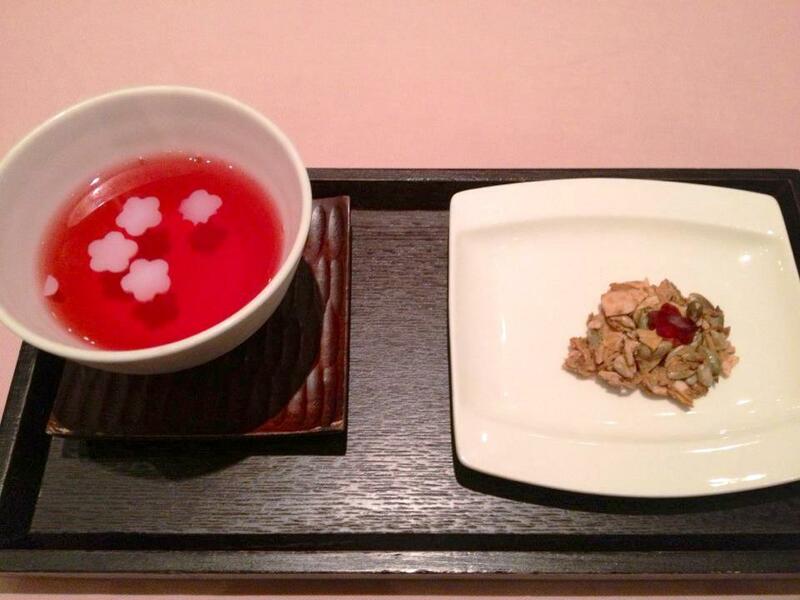 Korea has an amazing array of teas and herbal infusions (I sampled quince, pomegranate and chrysanthemum). The ubiquitous convenience stores also have an interesting array of herbal and energy drinks (supposedly to get rid of hangovers) as well as sweet drinks like the banana milk at bottom right. There's something for everyone! So all in all, Seoul is scrumptious! Consider a trip there to experience some of the amazing cuisine and major food (and drink!) culture, and don't be surprised if like me you come home with a suitcase full of gochuchang, Korean chili peppers, soju, bokbunja and other goodies! Best part of Korean food is the banchan! Agreed on gochuchang that I use in everything. 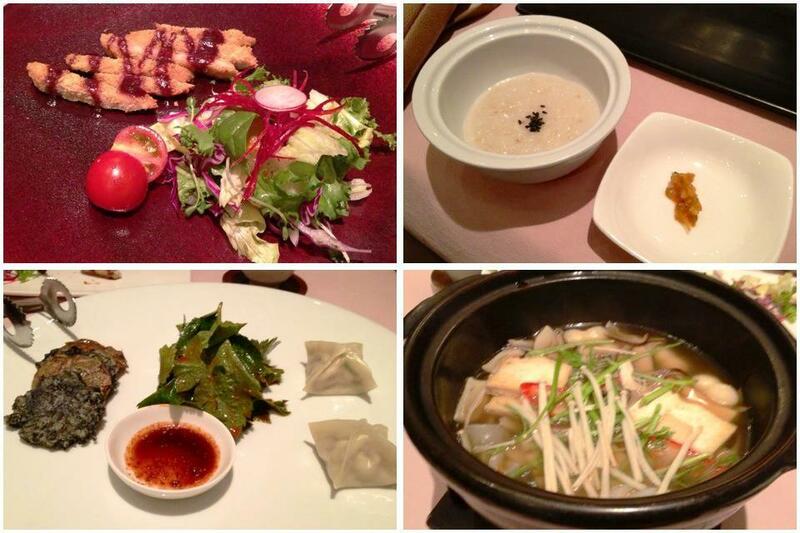 Though the one I used at the Korean restaurant in Paris was surprisingly bland. Def Parisian tastes. Looks like you had a scrumptious time!! I'm so glad you got the chance to eat all that great Korean food! 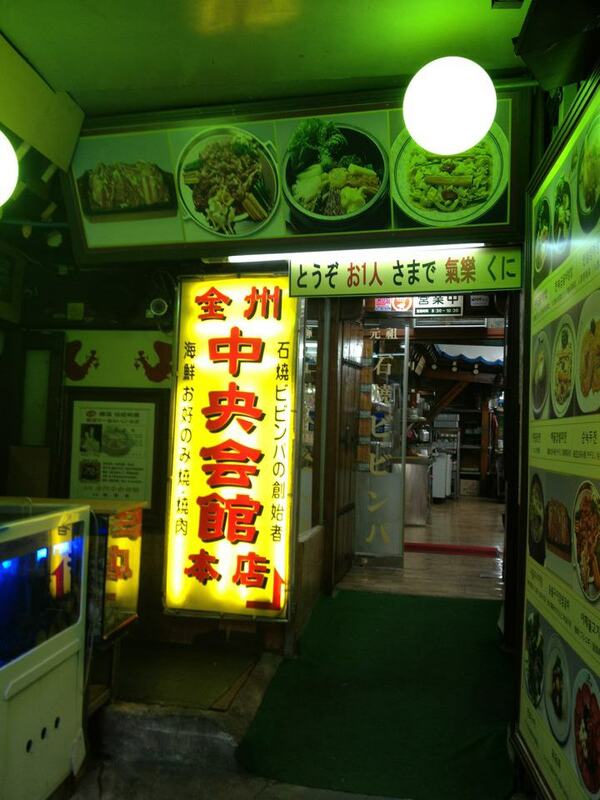 I'm living there now and eating is my favorite part. Reading this still enlightened me on a few things. Thanks for the quick lesson!